There's no denying that Michigan is all about nature. Mountains, hills, rivers, forests, and even lots of sand that might look like a desert if not for the big lakes adjacent, Michigan has nature in huge quantities and impressive qualities. So in turn, finding facilities that celebrate Michigan's natural connection—nature centers—isn't a difficult process at all. Deciding which ones to visit might prove the bigger challenge, though, so settle in and let's run down a list of 10 great Michigan nature centers to visit! Kalamazoo is known for its urban sprawl—though not as sprawling as some—but there's also a clear natural side to Kalamazoo that's hard to ignore even when driving by on US-131. 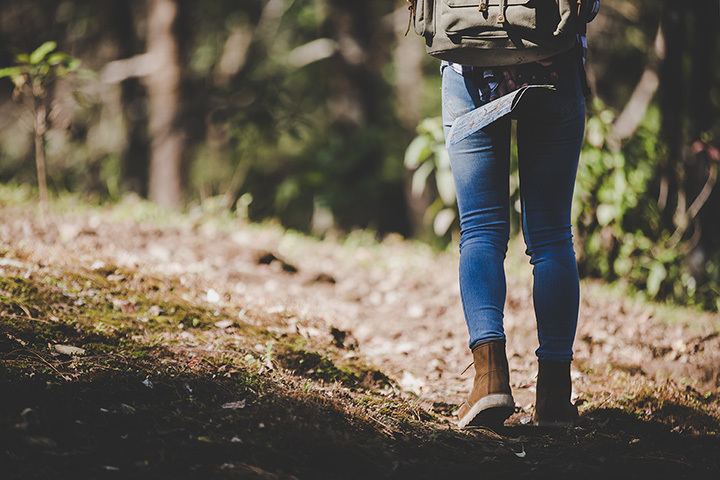 The Kalamazoo Nature Center features fully 14 miles of walking trails to check out the landscape, as well as family programs every Sunday to help families better connect to both nature and each other. The Hummingbird-Butterfly Garden is available for weddings, and several other facilities are available. Plus, those interested in helping preserve this impressive slice of nature are welcome to volunteer as Stewardship Field Volunteers, helping to preserve and protect this exciting region. A combined total of 1,549 acres goes into the Hudson Mills Metropark, giving Ann Arbor a lot more to its credit than just a major university and technological development areas. Part of the Huron-Clinton metropark system—which will give rise to another nature center on this list—the Hudson Mills Metropark will offer hiking, fishing, group camping, and even canoe rentals at the Delhi Metropark, which will ultimately connect to Hudson Mills via the "Border-to-Border Trail," a 35-mile trail system connecting two counties along the Huron River. A massive 2,100-acre state park, Bay City's eponymous Bay City Recreation Area has one major feature, built right into the name: It’s right on the shore of Saginaw Bay, and that means enough water fun to float a navy home. Naturally, that's not all the Bay City Recreation Area has going for it, as it will not only offer opportunities to view wildlife in its natural habitat, it will also offer the chance to take it home and eat it. Three observation towers are on hand to view wildlife, as are other viewing platforms, but fishing is an option in the included Tobico Lagoon, and when open hunting seasons are on hand in Michigan, so too is the Bay City Recreation Area available for hunters. A massive nature center in Midland, the Chippewa Nature Center boasts not only 1,348 total acres to its credit, but also a hefty 15 miles’ worth of nature trails. That's no small presence, but it gets better: The nature center also features a set of hands-on exhibits about the various ecosystems that are located therein. It also offers the equivalent of a Genius Bar for nature lovers in the Naturalist Station, as well as a theater with short videos, and a complete look at the Pine River via a room with floor-to-ceiling windows. A slate of events and programs rounds out the list for those looking for an excellent educational opportunity. It could be fairly accurately said that most of the Upper Peninsula, outside of a handful of inhabited areas, is a nature center, but the Moosewood Nature Center near Marquette makes a pretty clear case for its own existence as a nature center. Part of Presque Isle Park, the Moosewood Nature Center features a complete array of programs for users to enjoy. Recently, it featured a "virtual bog walk" for Halloween, and there were also programs like mushroom identification, tree identification, and the connection between George Shiras, the Migratory Bird Act, and the Upper Peninsula. Ever been to Owosso? If you haven't, you've got a great reason to go now in the DeVries Nature Conservancy. Though it's not among the biggest, there's a certain density to it that makes it worthwhile. Measuring in at 136 acres with four miles of trails, it's the side projects that make this one special. With a farm and gardens, a museum devoted to carriages and sleighs and even a slate of nature programs, there's a lot here for the nature lover to fall in love with. Those with kids, meanwhile, will love the "nature playscape" that offers dirt pits, a tree perfectly geared toward climbing, and even "fort building materials" to make the kids' day as exciting as possible. Density is again the order of the day with the Farmington Hills Nature Center in Farmington Hills. A part of the 211-acre Heritage Park, this nature center will offer users access to not only some educational programs along with a complete nature library, it also offers a bird viewing area with some specifically-established backyard habitats, an aquarium full of native fish, and a complete touch table for those who want to get more hands-on with nature. The touch table—filled with things like deer antlers and tree bark—is part of the larger Discovery Cove section, which boasts other kid-friendly options like puzzles and coloring. A comparatively simple expanse measuring in at 105 acres, the Fernwood Botanical Garden and Nature Preserve near Niles offers several different kinds of nature in one package. There's an eight-acre landscape garden, along with a woodland preserve measuring 50 acres. A 40-acre tree arboretum features trees and shrubs from around the world offers a look at plant life the world over, and a complete five-acre tail grass prairie is on hand. Throw in a greenhouse conservatory with over 100 kinds of tropical ferns, a Japanese dry garden, a tufa rock garden nearly 70 years old, and a lilac garden from the 1940s and there will be no shortage of options for the nature buff. One of the biggest nature centers in Michigan, Milford's Kensington Park Nature Center comprises a reported 4,481 acres of area, which puts a lot of nature at viewer's disposal. Offering various terrains, the nature center is home to a complete 18-hole golf course, along with a disc golf course, a paved hiking-biking trail and plenty more. There's even a complete lake in here, Kent Lake, which was formed by damming part of the Huron River. For those eager to learn, a farm center offers insight into local agriculture, which is always front and center for Michigan. At a whopping 21,000 acres—roughly half the size of Wichita Falls, Texas—the Eddy Discovery Center in Chelsea is part of the third-largest park in Michigan, the Waterloo State Recreation Area. Leased to the State of Michigan from the Great Depression, during which it was founded, the area is home to the Pinkney Recreation Area and the Phyllis Haehnle Memorial Audubon Sanctuary. The Eddy Discovery Center, meanwhile, will offer a slate of exhibits about the area, its geography, and its native inhabitants. Fluted spear points of original inhabitants are on hand, and there are several interactive exhibits on hand along with educational video games to keep rambunctious kids focused. View more Michigan Nature Centers and Botanical Gardens.